Jurgen Klopp saluted his Liverpool heroes after they crushed any hopes of a Manchester City fightback in the Champions League last night. 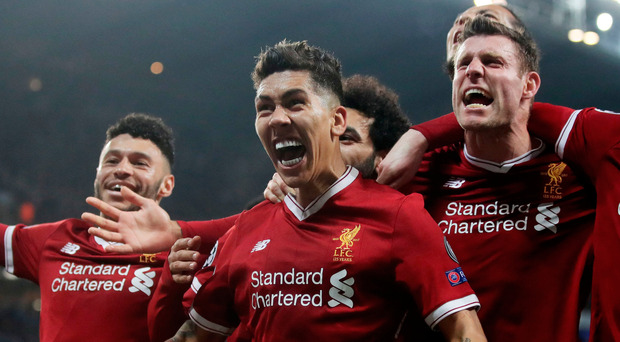 Liverpool reached their first Champions League semi-final for 10 years after recovering from Gabriel Jesus' second-minute strike to seal a 5-1 aggregate win. Second-half goals from Mohamed Salah and Roberto Firmino had the Anfield chief hailing a stunning performance, saying: "If they want the ball from you they have to kill you. We are in the semis so we deserve it. It's not about perfection, it's about the result, the character, the mentality, really fighting for the result." City boss Pep Guardiola, who was dismissed at half-time after complaining to referee Antonio Mateu Lahoz, hit out at the official, saying: "In the right moment we miss the right decisions. The referee is a special guy, he likes to be different. Whenever people see things, he will decide the opposite. I said he was wrong. That is why he sent me off. I didn't insult him. I said it was a penalty and the ball came off (James) Milner for the goal."